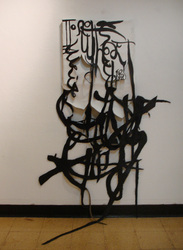 These pieces were exhibited in Intersections (2017) at Future Studio Gallery. 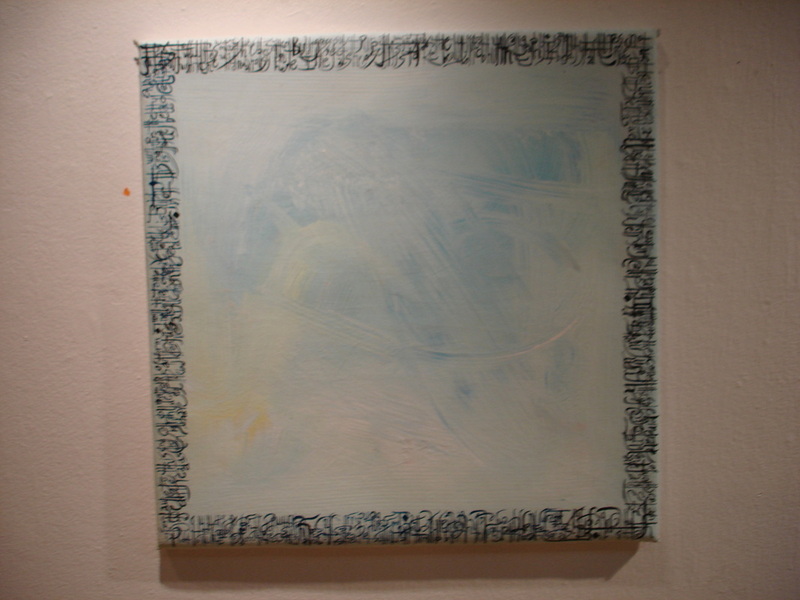 These pieces were a revisit to Eugene's older pieces on his exploration of text, legibility, and communication. 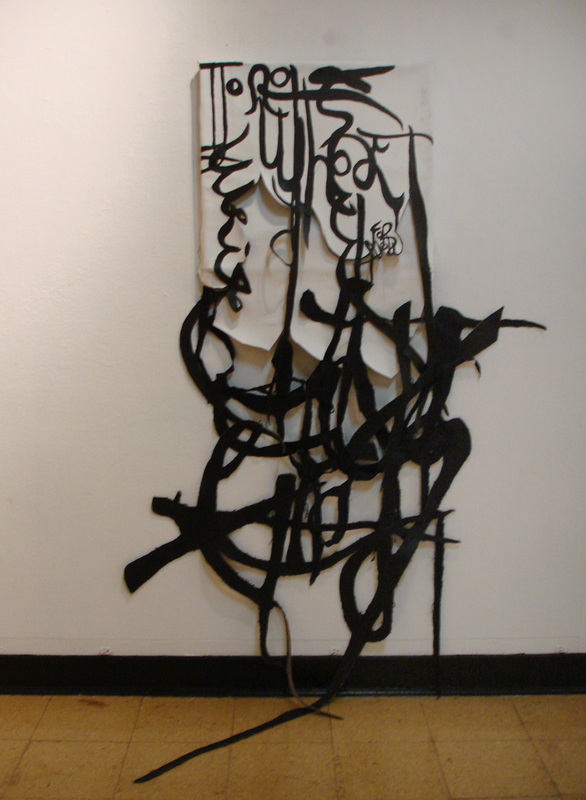 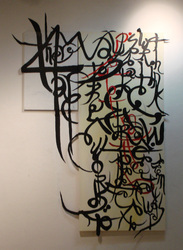 The paintings were exhibited from his Mid-Residency Show Extracalligraphy (2011). 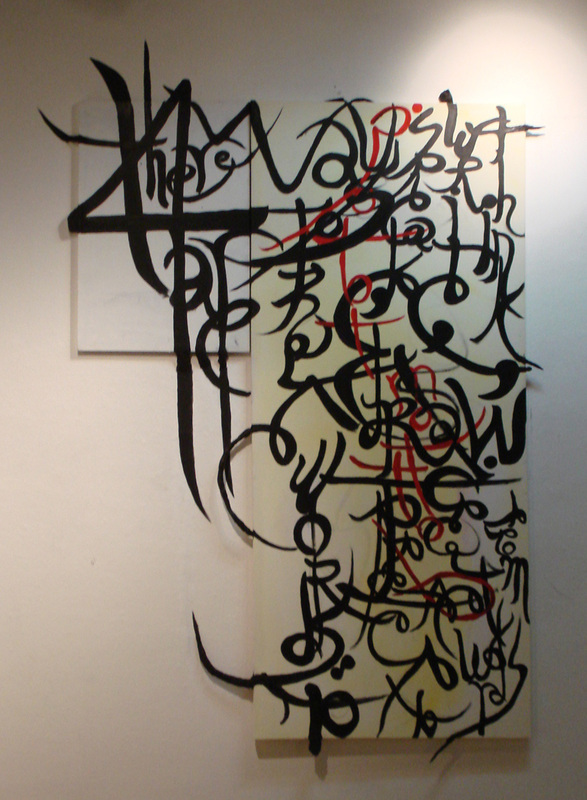 Eugene is exploring the use of writing system and the shapes in how we structure and place on the surface for legibility. 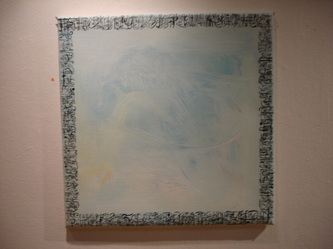 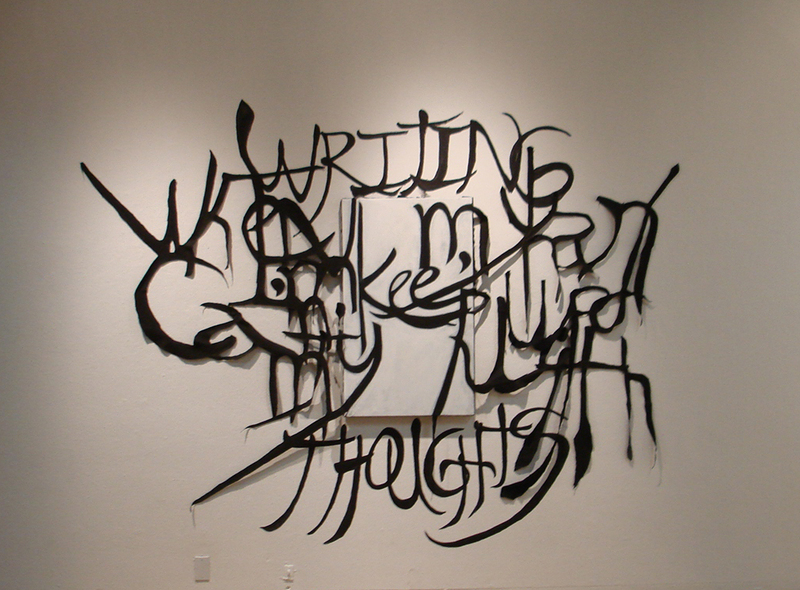 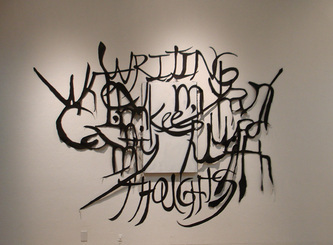 He is also exploring the possibilities for texts to exist beyond the given surface, such as a paper or canvas.